Research continues to tell us about hearing health’s connection with whole-body health. An inability to hear affects you socially, mentally, and physically, making it important to know where your hearing health stands. Healthy hearing isn’t just about your ears; it’s about your brain. If your inner ear or ears aren’t allowing sound information to reach your brain, it causes your brain to have to work harder to understand what’s being said. There are two common types of hearing loss: conductive hearing loss and sensorineural hearing loss. An ear problem in the outer or middle ear is called conductive hearing loss, while inner-ear problems or brain-processing difficulties are sensorineural hearing loss. Binaural hearing is the brain’s ability to combine sound information from both ears simultaneously, which not only improves your ability to communicate but also to figure out where sounds are coming from in relation to your location. Hearing with both ears also helps you focus on the voices or sounds you want to hear in an environment that has distracting background noise. Sensorineural Hearing Loss (SHL): This happens when there is damage to the hair cells in the inner ear (cochlea). This kind of hearing loss affects the ability to hear quieter sounds clearly. Conductive Hearing Loss: This type of hearing loss is a result of an infection or blockage in the outer or middle ear. This type of hearing loss is normally reversible once the cause is dealt with through medication, cleaning, or surgery. Mixed Hearing Loss: As you can guess, this is a combination of two types of hearing loss — SHL and a semipermanent conductive hearing loss (like a problem with one of the tiny bones that conduct sound) in the middle ear. While SHL is usually permanent, semipermanent conductive hearing loss can be treated effectively with treatment or surgery. Unilateral Hearing Loss: When you have hearing loss in only one ear, it’s called unilateral hearing loss. It happens for a variety of reasons, from congenital to randomly or over the course of several days (sudden hearing loss). Sudden Hearing Loss: If the hearing loss happens entirely or partially within 24 hours or even immediately, it’s considered sudden hearing loss. Typically, this kind of hearing loss will clear up in two weeks, but there is the possibility it will never be restored. High-Frequency Hearing Loss: Consonant sounds — like f, s, t, and z — become difficult to understand when experiencing high-frequency hearing loss. This is tougher to diagnose because it happens more gradually than other types of hearing loss. Generally, symptoms are the inability to hear higher-octave sounds, like a child’s laugh or a woman’s voice. At Tustin Hearing Center, our mission is to help educate the public about hearing loss and promote the importance of prevention and treatment. We are passionate about “hearing” and the importance of hearing health. Our Patients for Life philosophy is to provide the best hearing healthcare possible. As a member of the Tustin Hearing Center Family, you have our promise to stay committed to you and your hearing. 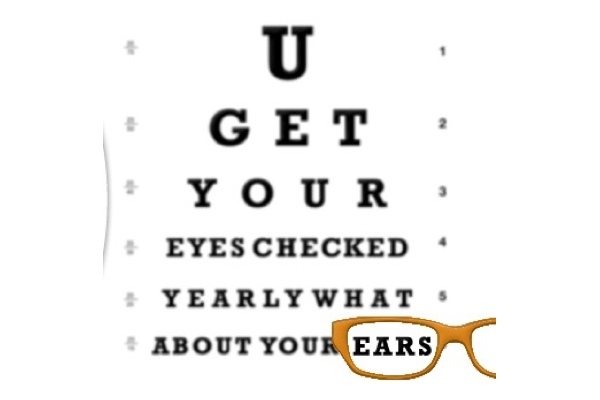 To schedule your appointment with one of our Doctors of Audiology, call us at (714) 731-6549. We look forward to seeing you soon!